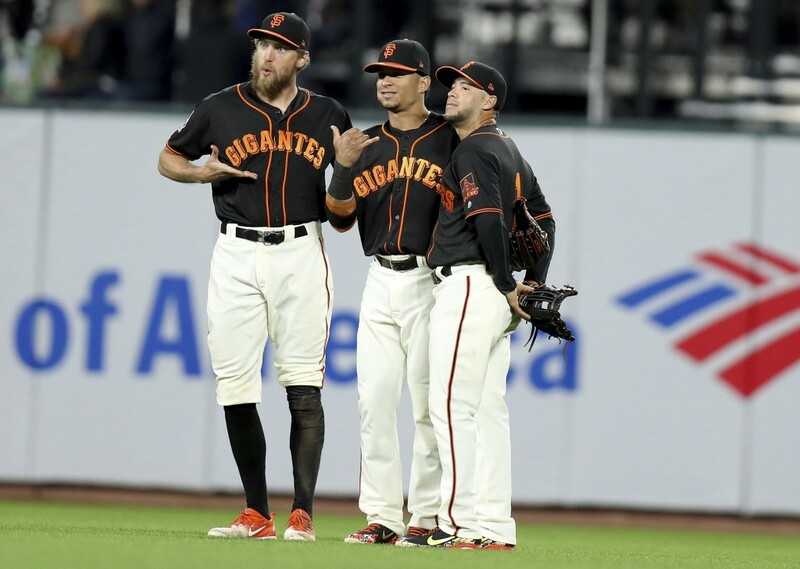 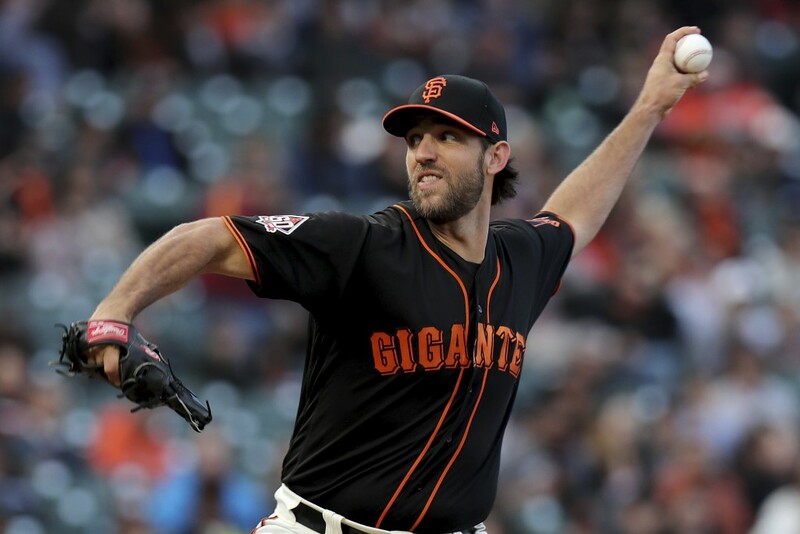 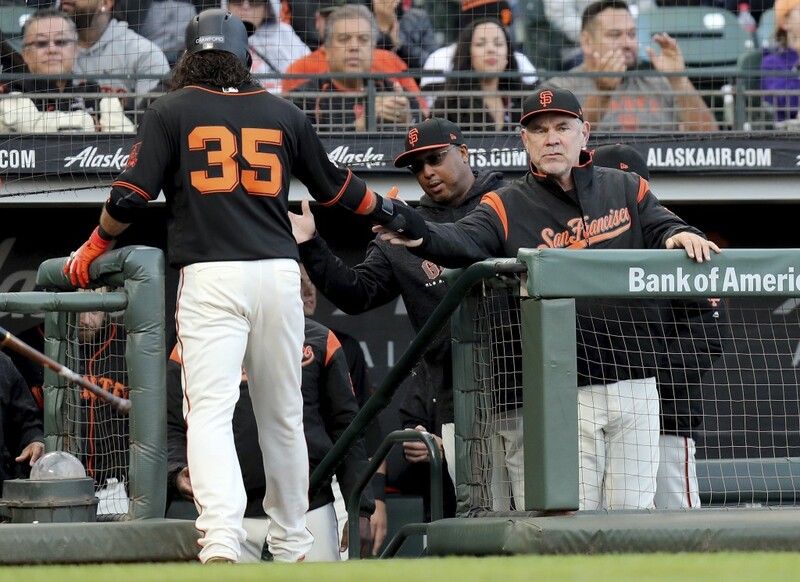 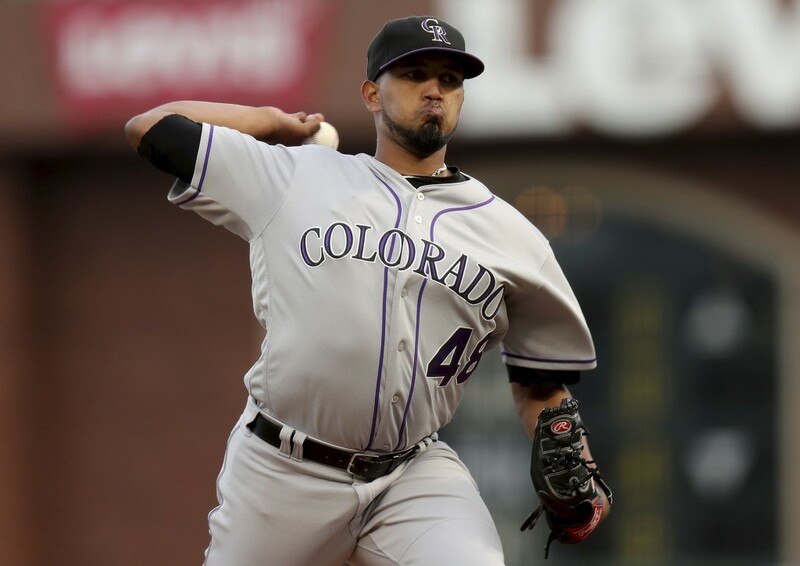 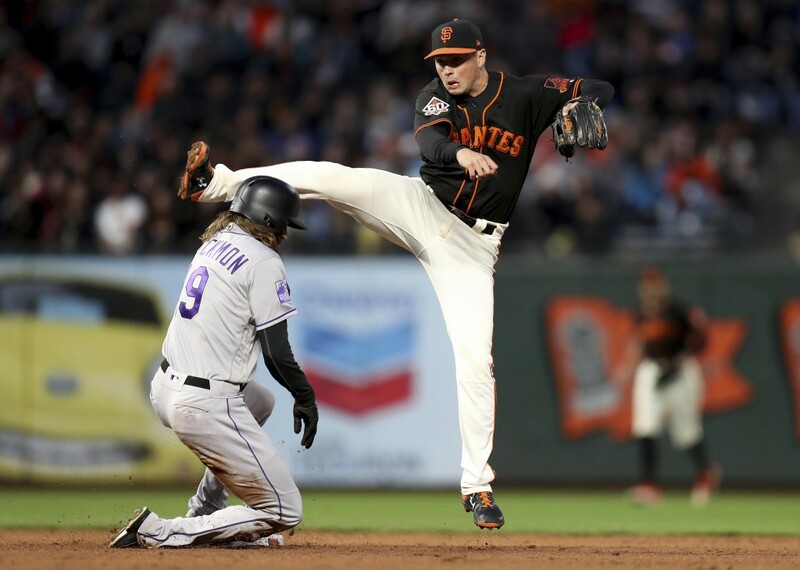 SAN FRANCISCO (AP) — Madison Bumgarner pitched six strong innings, and Austin Slater and Hunter Pence drove in runs as the San Francisco Giants beat Colorado 3-0 Saturday night and knocked the Rockies out of first place in the National League West. 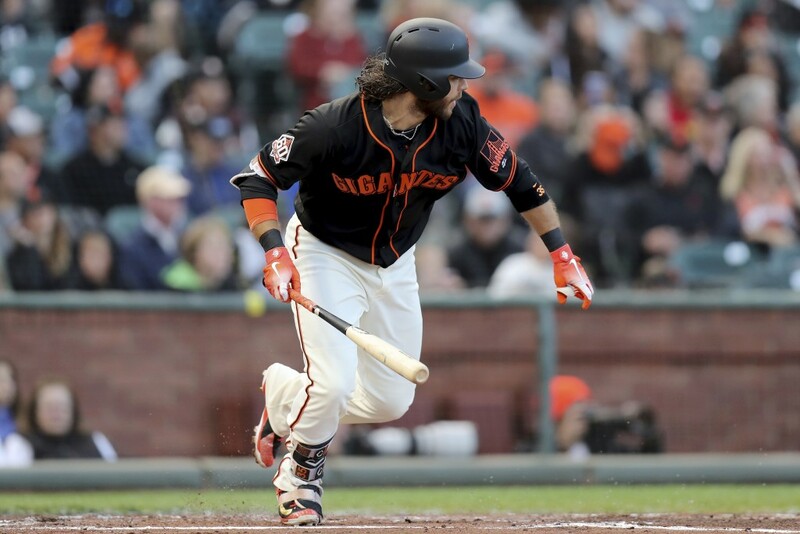 Giants: 1B Brandon Belt (right knee soreness) had an MRI on Saturday, the results of which weren't available before the game, manager Bruce Bochy said. . C Aramis Garcia has been taking ground balls at first and could see playing time there, Bochy said. 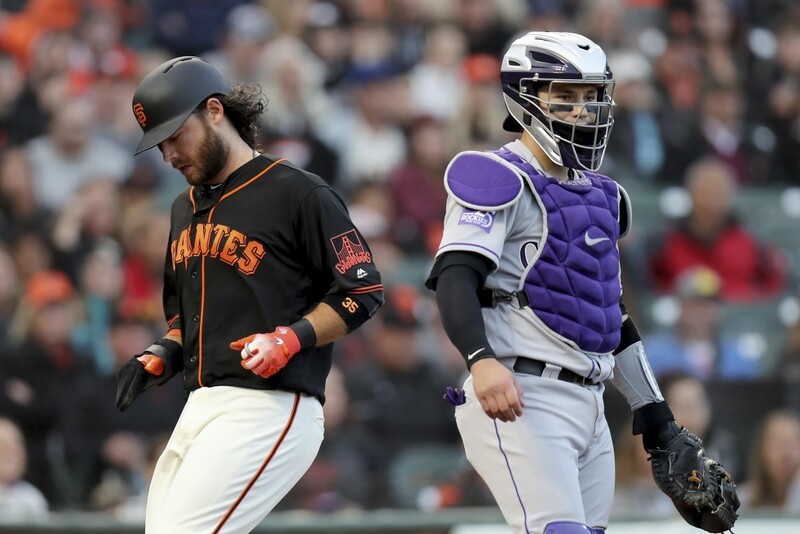 Garcia will catch Sunday's game.